This section has general background information about the website. This section is where I credit everyone who has helped with the construction of Wayne's Garbage Pail Kids References. This section is where you can learn about Garbage Pail Kids from the United States, United Kingdom, and other releases from around the world. 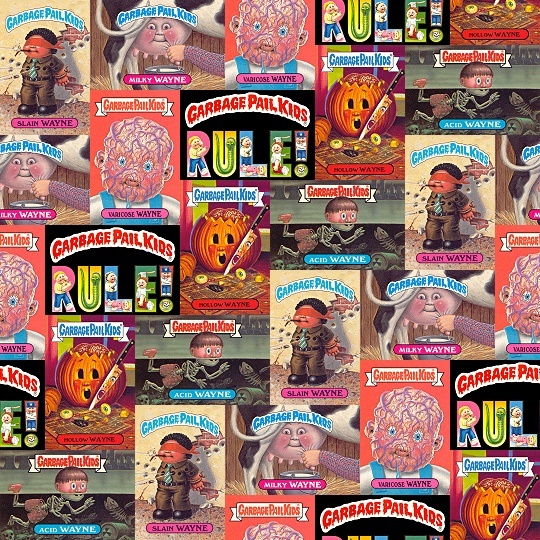 This section is where you can download Garbage Pail Kids variation lists and other files. This section is where you can learn about some of the bootleg, error, fake, homemade, mislabeled, and rejected Garbage Pail Kids items. This section is where you can find artwork and photographs from Garbage Pail Kids fans. This section is where you can lookup all the Garbage Pail Kids characters that share your name. This section contains a tremendous amount of information and answers many questions about Garbage Pail Kids. I highly recommend that everyone read over this section. If you are interested in starting a Garbage Pail Kids collection, this is the section you should definitely view first. This section is where you can find links to many of the other Garbage Pail Kids and non-sport card websites. This section is where you can learn about some of the Garbage Pail Kids models created and used by the artists and manufacturers. This section is where you can learn how to grade cards and how much Garbage Pail Kids are worth.